Yung Hung Machinery Co., Ltd.
LEE YOUNG INDUSTRIAL MACHINERY Co.,Ltd. YOUNG SHIN PRECISION CO., LTD.
DONG YANG ELECTRONIC GLASS CO., LTD.
Dong Joo Industrial Co., Ltd.
Akzo Nobel Amides Co, Ltd.
DONG DO SYNTHETIC FIBER CO., LTD.
TAE HOON INDUSTRIAL CO., Ltd.
Gyeongsangbuk-do is one of the most dynamic regions in South Korea. Its economic and export growth rates are the highest among the country’s local governments. The National Assembly ranked us at the top of the 16 local governments in terms of future industry growth potential. Our machinery, metals, and electronics industries registered double-digit increases recently. Our GRDP recorded US$58 billion, which is the fourth highest in the nation. Gyeongsangbuk-do is nurturing six national industrial complexes, 26 local industrial complexes, and 53 regional industrial complexes. Beside its industrial capacities, the area has huge potential with the consumer market. The structure of the industries is healthy, and each industry is large enough to hold the diversity of the economy. Gyeongsangbuk-do reiterates its goal of promoting the globalization of its local economy by seeking various channels for exports in and around the global markets and dispatching public officials to export-desirable countries to face the challenges of the era of endless economic competition all over the world. With our powerful search tools and marketing solutions, Kompass can help you better understand your marketplace and to generate leads as well as promote your company online towards a targeted audience. 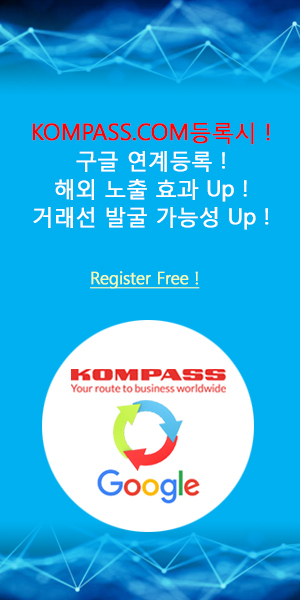 Find out the detail information about South Korean companies in Gyeongsangbuk-do which is registered in the Kompass B2B worldwide database.